The term kraft paper covers a variety of products which are produced using a chemical conversion of wood into wood pulp and separating the lignin and cellulose fibres. 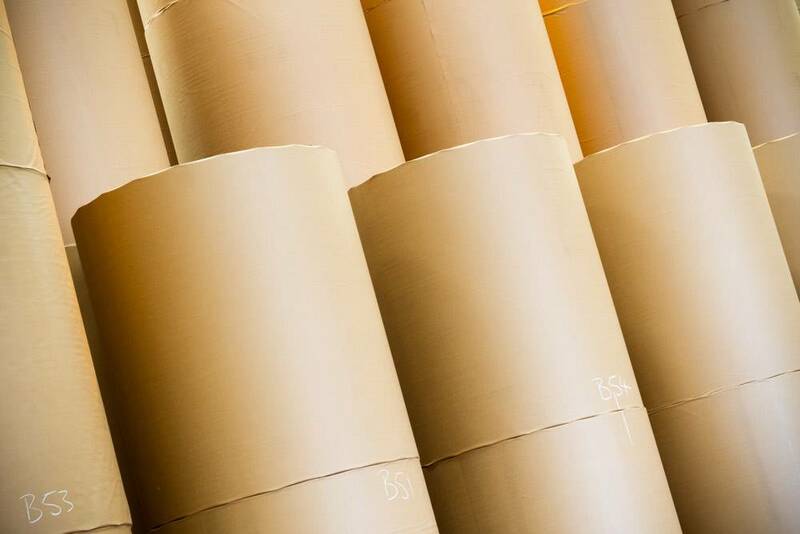 The reduced lignin content and high sulphur ratio in the kraft paper production process ensures the papers high strength making it an ideal choice for the majority of packaging requirements. While all kraft paper is produced using the Kraft process, small variations can greatly affect the end product. For example the use of virgin or recycled pulp; kraft paper made from virgin pulp is very high strength with a high tear resistance level and best used for heavy duty applications, kraft paper made from recycled material has a lower strength and tear resistance level but is still suitable for heavy duty packaging applications and is more environmentally friendly. All kraft papers can be natural shade or bleached; natural shade paper is heavier duty as bleaching decreases the papers strength, however bleached paper has improved printability due to the smooth surface. Kraft paper can also be classified as MG or MF which refers to the finish of the paper in production; MF is machine finished and MG is machine glazed. Food wrapping/packaging – food wrapping and packaging, such as sandwich or meat wrapping, uses MG and MF Bleached Kraft. Boxes/Corrugation – boxes are made using a high grammage, high strength kraft referred to as Kraft Liner Board (KLB). This is used most often in the food industry where boxes are kept in moist conditions and need a high strength. Kraft paper is not restricted to the above uses, with the increasing awareness of environmental concerns most companies are turning to kraft paper as an economically and environmentally friendly solution. In contrast to other paper production methods the Kraft process can use all types of wood, almost all chemicals used in the production process are from recycled and reusable sources and by products of the production are recycled where possible or reused for other purposes.